This post include Foxwell NT510 reviews &BMW INPA reviews, which help you decide which one to own. 1. 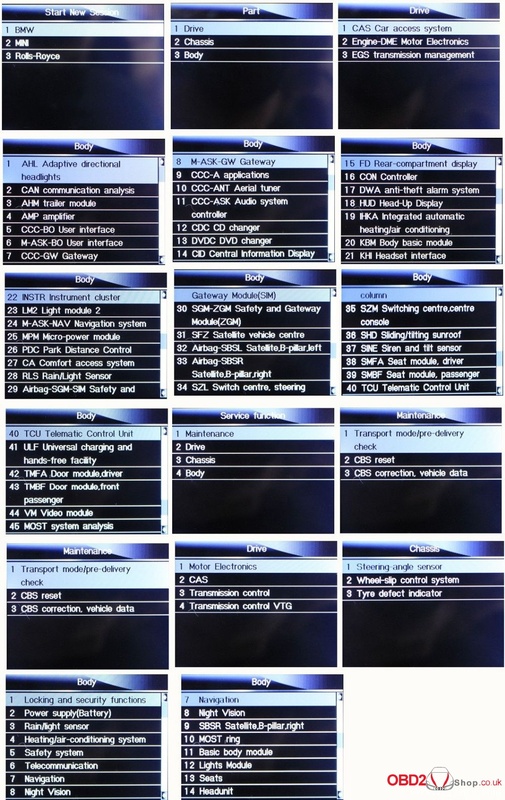 INPA is the official BMW service software, but it is also more complex. BMW INPA requires the computer skills to install and use NCSexpert, INPA, tool32. 2. Foxwell NT510 is a good handheld scanner. 1. I have a few older BMWs in addition to my e65, so I have used DIS, INPA, ISTA, etc. 2. I have been using INPA for reading and clearing codes. 4. BMW E90 OBD2 scanner -use BMW INPA and a $20 cable if you had a old computer. *A much cheaper and basically has all the coding functions is INPA. The only problem is that even though INPA can do all basic stuff that you need but it seems complicate to operate than other scanners. *INPA full diagnostic for BMW is excellent software, though some limited release models tend not to be covered but it works well on E-series cars. In short, INPA is cost-effective for economic nervous people. * Inpa is the best for diagnosis of BMW cars because it is made for bmw. Sure that it is possible to access all units and that the faults are displayed correctly. Also you can get the cables for the older models very cheap and the software even for free in the Internet. The negative aspect is that it requires a computer and will not work on smartphones. Not much convenient. *INPA is an excellent product, but does not have full model/variant coverage and being a factory product can be difficult to keep updated. I assume that people focus on their own model, so INPA is for me the best regarding price and functionality if you only need it for your own model or a (small) range of models. And more by searching on google. – For the e66, I would recommend foxwell NT510. They are on sale right now for $149 at foxwelltool.com. 5 car brands software among 17 car brands. – it scans all kinds of stuff on our E39, E46 & E90. -for reading and clearing codes, plus I registered my battery, reset trans adaptation, coding/service features like Electronic Parking Brake, oil service indicator. It can do so much more as well for a reasonable price. Foxwell NT510 is a good handheld scanner, which tend to be private custom service, download the car brand and set the language you want according to your need. BMW Inpa is reliable old BMW specific software, which is more complex to install and can perform diagnosing and coding etc. How to Bleed ABS on Corvette with GM Tech II?